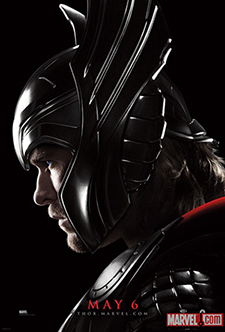 Thor: The Dark World gave us more of everything, but we’re addicts, right? We need even more! There are whole worlds and moments and storylines left to explore from the comic’s rich and lengthy history, and I don’t think any of us will be satisfied until all of them have been exploited on the big screen. But... we have to start somewhere. So, for now, I offer these three things as “musts” for the eventual Thor threequel. When it eventually comes out, I’ll be buying a ticket anyway, but this might guarantee I buy two. Or three. Maybe four. Arguably the second most recognizable Thor villain after Loki, it makes sense for Enchantress to be the next major Asgardian introduced in a Thor film. In the sequel’s earliest stages, she was rumored to be a part of The Dark World cast, but things never developed to the point of casting the role. Now that the film is out, it would’ve been difficult to shoehorn her in to the tale of Malekith and his quest for the Aether, but we’re hoping there’s plenty of room for her in Thor 3. Introduced in Journey into Mystery #103, the Asgardian sorceress also known as Amora was tasked by Odin to seduce Thor away from Jane Foster, who he felt was making Thor too preoccupied with Midgard. 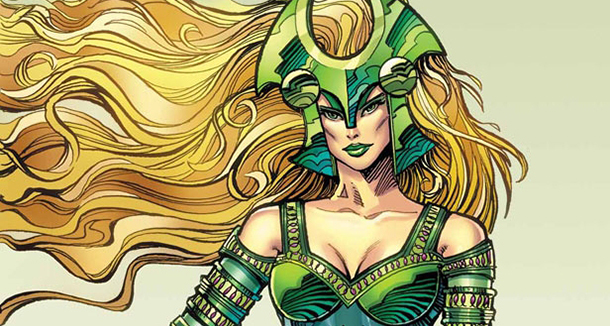 This idea might have gone fine with anyone else, but Enchantress lacked scruples from the start, and took up with Loki and a murderous henchman named Skurge (aka the Executioner) to carry out the plan. 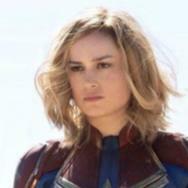 Eventually, her treachery gets her on everyone’s bad side and, along with her mastery of illusions and seduction, places her in Marvel’s top tier of baddies, male or female. And on the flip side of Enchantress is one of Marvel’s purest heroes -- Beta Ray Bill (first appearance, Thor #337). He wasn’t always a horse-faced Thor wannabe, but a simple alien hero who took on monstrous disfigurement as the side effect of scientific augmentation that would allow him to become a superhero protector to his dying race. His first run-in with Thor was a case of miscommunication, with both heroes fearing the worst from each other and fighting, but when Bill found himself capable (and thus worthy) of lifting Mjolnir, he gained Thor’s godly abilities. That was pretty much the tip-off that Bill was a pretty exceptional horse-faced dude. 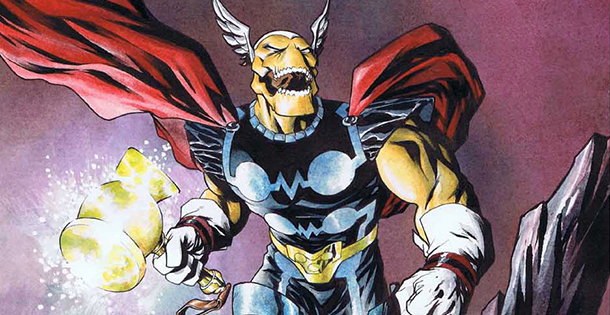 Odin gifted Beta Ray Bill with his own enchanted hammer, the Stormbringer, and Bill has gone on to help Thor and a host of other cosmic Marvel heroes over the years. Fans react so well to Bill because of the juxtaposition between the character’s alien alt-Thor look and his “everyman” attitude. He’s charmingly down-to-earth for an alien (so charming he even wooed Sif for a while), and can always be counted on to do the most fearless thing as a first response. On film, Beta Ray Bill would most likely have to be an all-digital character, but seeing the personality they were able to give the Hulk in Avengers, I have no doubt that an all-CG Bill would totally rock in the cinematic Thor universe. We got about two seconds worth of screentime in Thor with his helmet on, right when we met the character as he marches toward Odin and kneels. 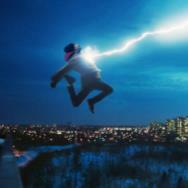 The first time we see his face, he’s taking the helmet off, and casts it aside never to be seen again. This will not stand. Look, I realize that Chris Hemsworth is pretty, and you want to see all of that gorgeous moneymaker as big as it can get in stunning 3D, but it robs the movies of moments in which the visuals on the screen match the visuals of the comics. Consider how the Spider-Man films try to replicate iconic Spidey poses, or how often the most thrilling parts of any Superman movie are the ones that capture a sense of the iconography of the character. The Kirby Thor design is defined in large part by the hammer, the red cape (which he sometimes doesn’t wear), and the helmet (which he never wears). 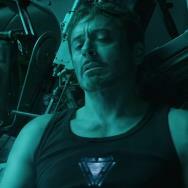 While it doesn’t ruin anything, it still robs fans of a very specific type of geek-out in these movies -- the feeling that what you are seeing comic panels brought to life on-screen. When those moments happen they can be sublime, but we’ll never get that high from Thor as long as he keeps his helmet on the shelf.